The new facility will assist students and parents seeking information and advice on tertiary education pathways and serve as a regional student recruitment office for INTI. Services provided will include registration for studies at INTI’s campuses across Malaysia, and application for accommodation and scholarship or financial aid. “With INTI’s newest counselling centre established in Kuantan, students and their parents in the East Coast of Malaysia will no longer have to travel long distances to discover the exciting educational opportunities available at INTI. 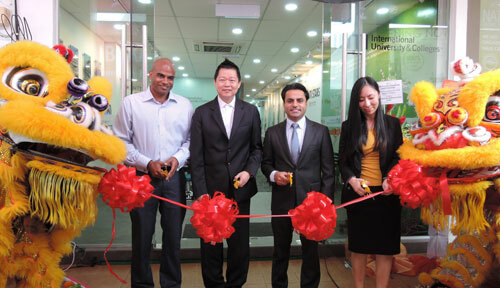 They can learn how INTI provides the most international, innovative and individualised education to empower learners – right here in Kuantan,” said Rohit Sharma, Chief Executive Officer of INTI International University & Colleges. 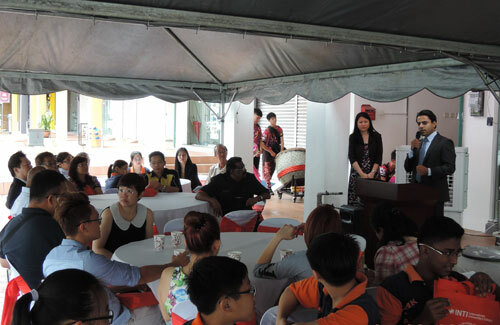 Sharma launched the centre together with Daniel Koh, INTI’s Senior Vice President, National Sales; Timothy Johnson, INTI’s Vice President, Marketing; and Felicia Chua, Sales Director, INTI International College Subang in the presence of principals and counsellors from Kuantan secondary schools and business proprietors, who were invited guests. INTI has campuses in Putra Nilai, Kuala Lumpur, Subang Jaya, Penang and Kota Kinabalu, and counselling centres in Johor Bahru, Ipoh and Melaka. It offers a wide-variety of courses that incorporate international exposure to help students expand their global perspectives; innovative and collaborative processes to help them think critically, connect and solve problems; and individual development to help them realise their aspirations in a world of constant change.